I'm probably older than you are, so when I say that for my entire adult life I have been expressing myself in online forums, this actually says something. 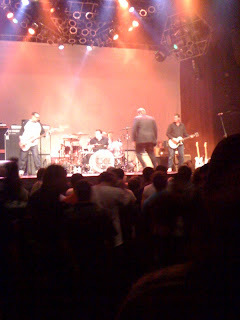 It also means that I am old enough to have heard of TSOL sometime in my life prior to last night at the Bad Religion show. It makes me wonder... when I was trying desperately to listen to punk music when I was a kid, why my cousin Chad never introduced me to True Sounds Of Liberty. A lot of thoughts float around in my head on a constant basis. If I can't let them out, I go a little nuts. Facebook and Twitter help alleviate the buildup a bit, but honestly, I need a place to work it out. And piss people off. And shock, and bore, and inform, and protest, and debate. Maybe not debate as much anymore. I think I got a lot of that silliness worked out before turning thirty. Anyway, on the expression front - I don't think it worked out very well on my personal blog. So I'm corked up again. 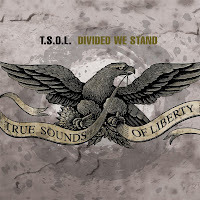 While I was picking fights and spewing not-quite-fully-formed opinions online in the 90's, TSOL had already been around for 20 years and had experimented with their own forming of opinions and music styles. There were political albums, morbid and macabre themes, art punk, psychedelia, even keyboards and blues metal. Over the years they split off, splintered, and reunited the original members to join the Warped Tour in 1999. They were back at it. Then, in 2002, a shooting backstage during one of TSOL's shows left the band with a $14,000 attorney bill by 2005 after clearing their name while the House of Blues settled with the victims for a mil a piece! It takes a lot of cash and a few years' setback to get your name cleared and get yourself back on your feet... For a lot of us, it would seem. 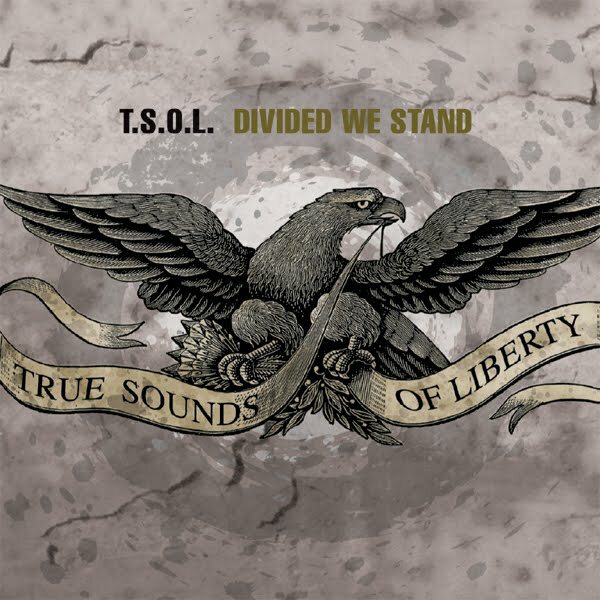 I'm thankful I heard of TSOL. I'm thankful they signed with Nitro Records, the label created by the lead singer of one of my own all-time favorite bands, Offspring. I'm thankful they released another album in 2009 and called it Life, Liberty, and the Pursuit of Free Downloads. I'm thankful that the kid we brought to his first-ever concert got to be involved in a 90-minute Bad Religion mosh pit and met members and lead singer of TSOL afterward. I just still wish Chad had told me about this band earlier, and I wish I still had an online forum on which to do my brain bloodletting. Meanwhile, I want you to appreciate these aging psychobilly punks with me. They are exactly the guys I love to see on stage. Loved the show. Most of the songs in their history are stronger and faster than the ones on this album. Why don't you download a few and take a self-guided tour through punk history. See if you can find the source of influence of some of your own favorite bands.